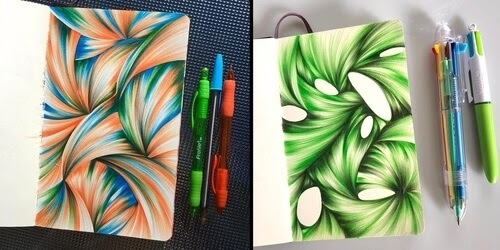 I am not usually a fan of abstract drawings, but these have an attractive quality, that really pulls you in. 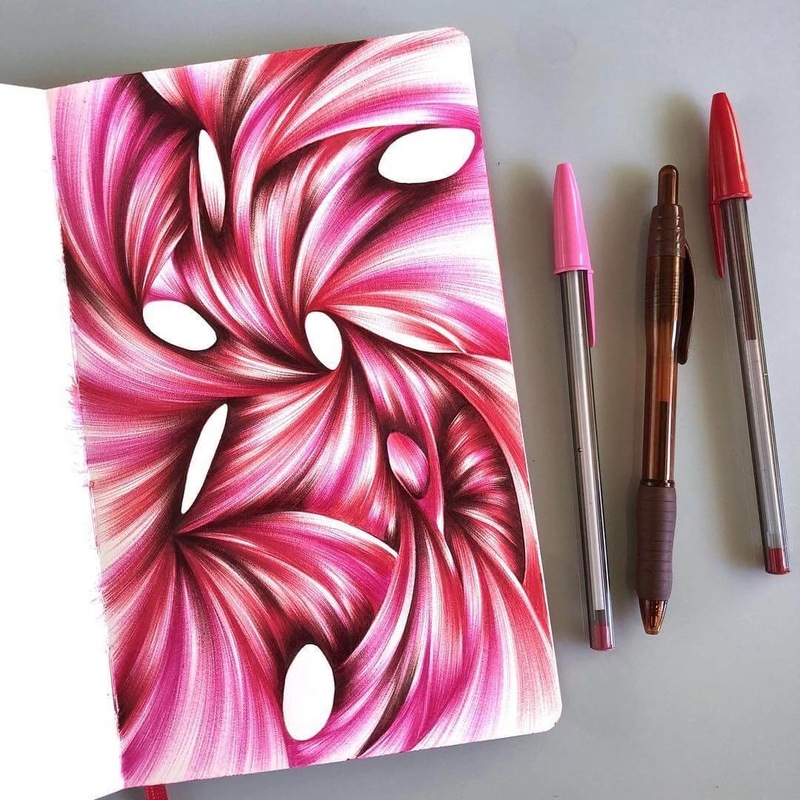 American mixed media artist Jennifer Johansson, has followed a few different directions in her life, that have always taken her back to art. 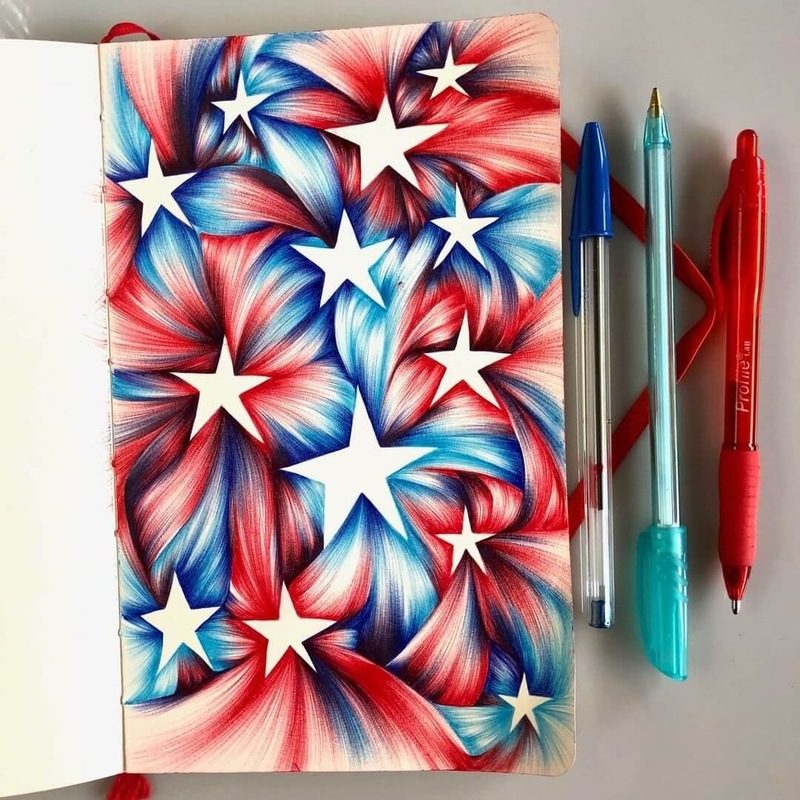 She is currently dividing her days with work in her art studio, a position at the local library, as the Teen and Youth Program Coordinator and renovating the house she owns with her husband. 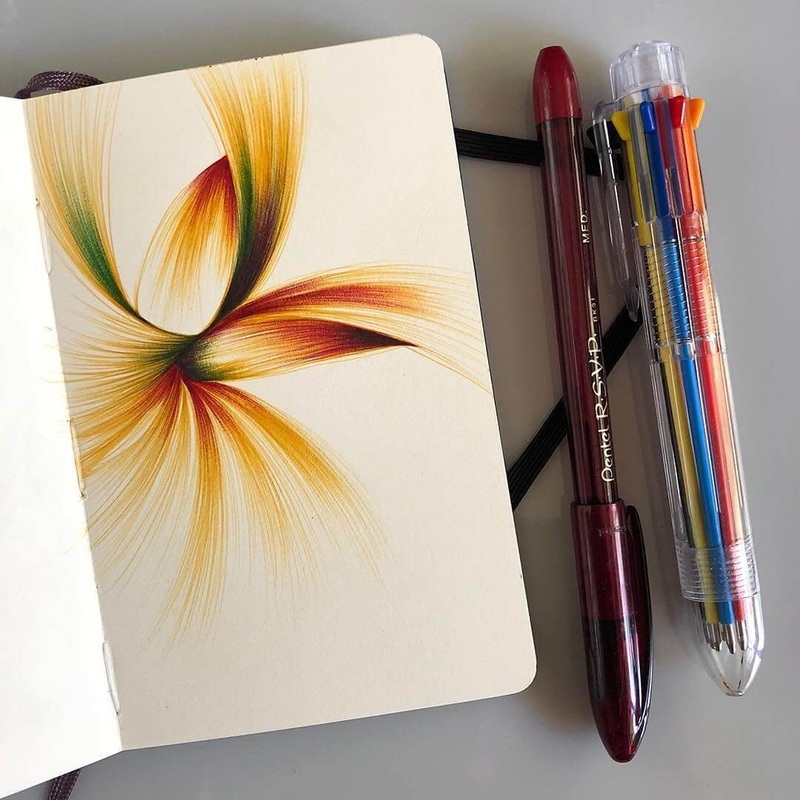 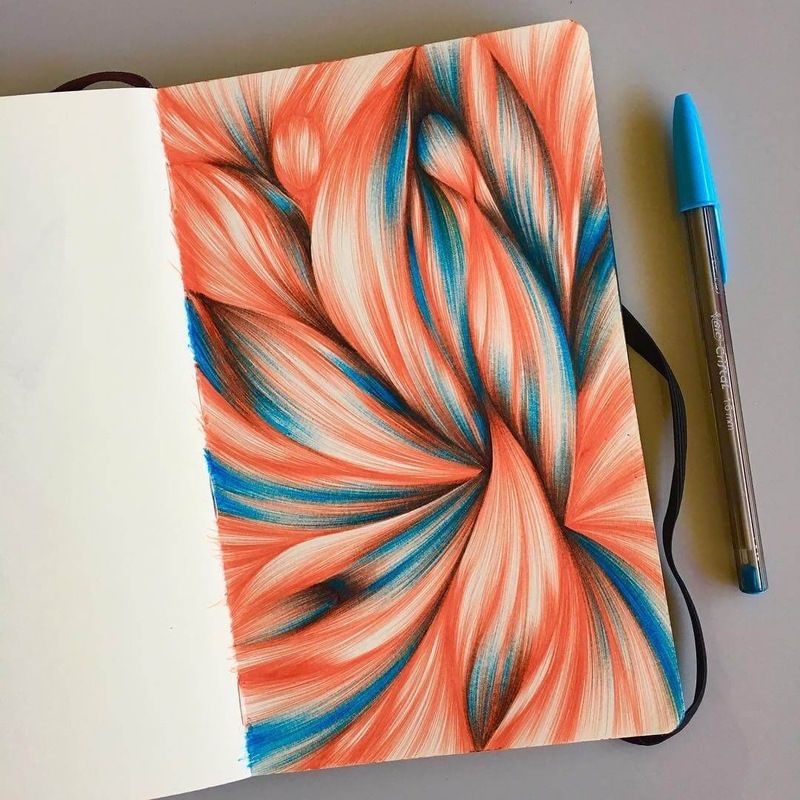 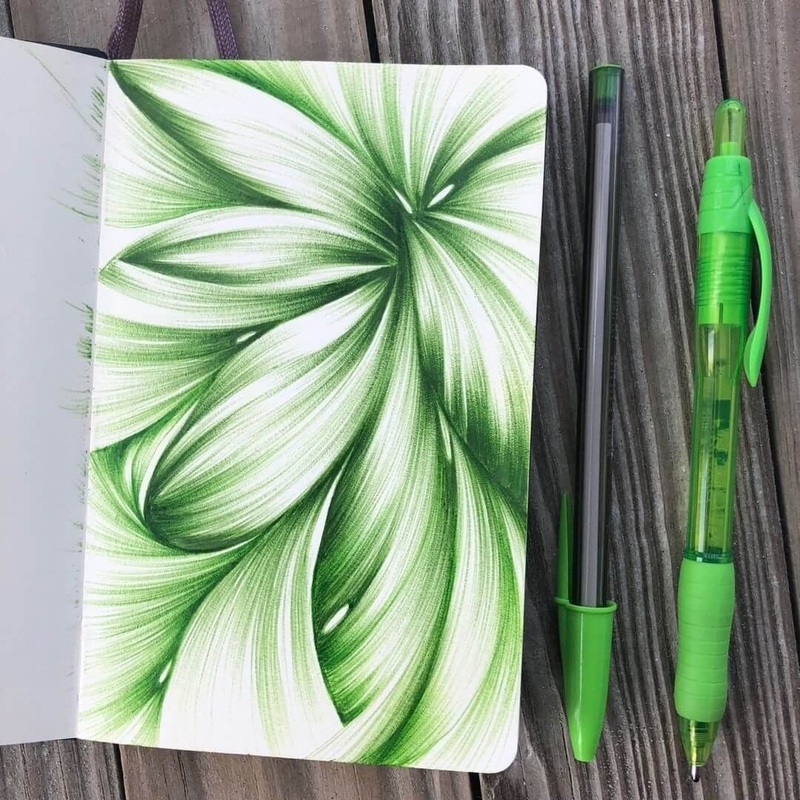 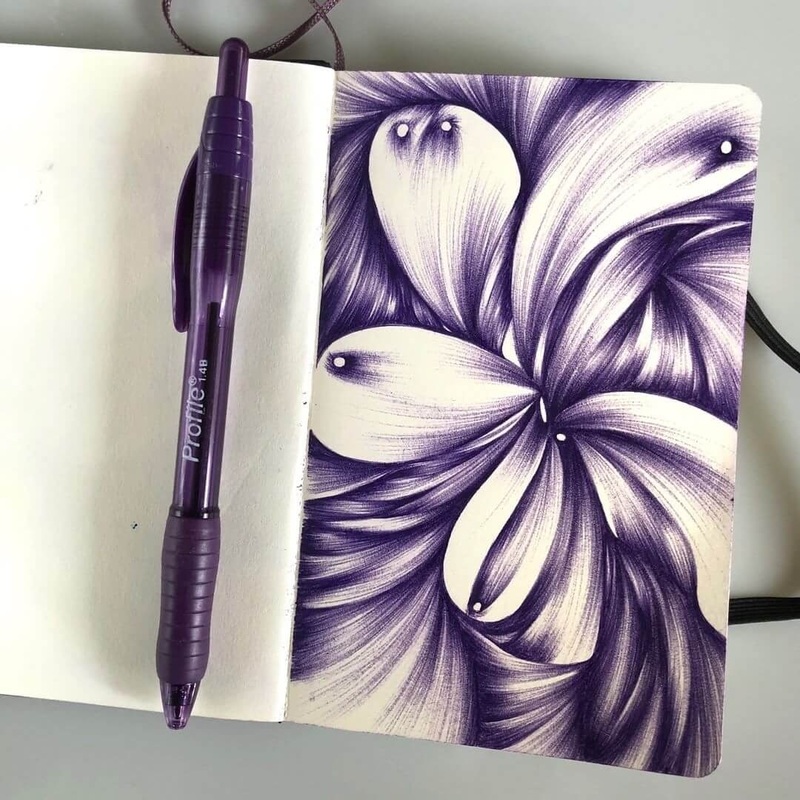 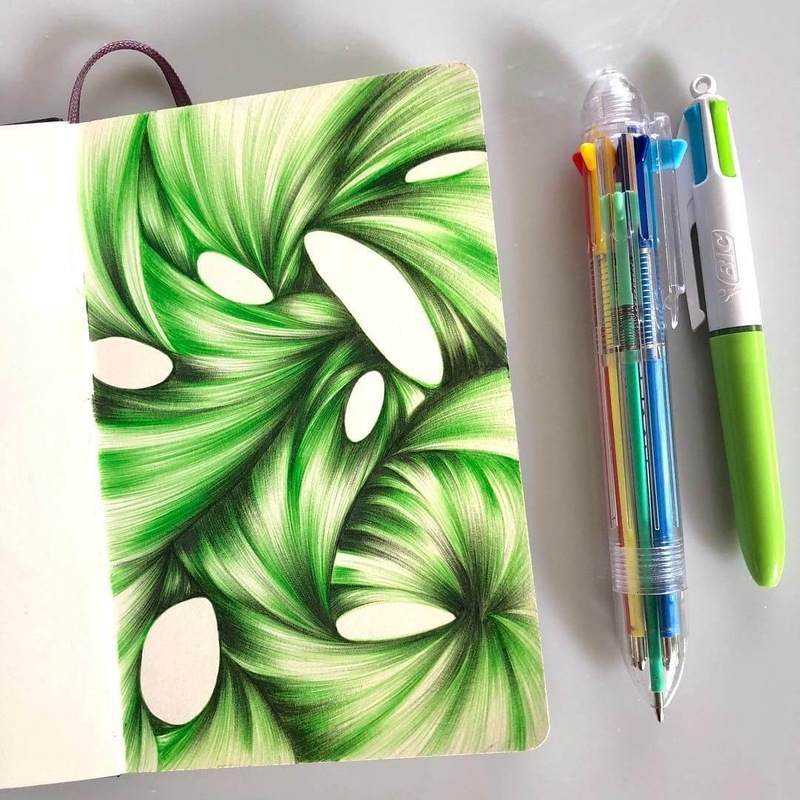 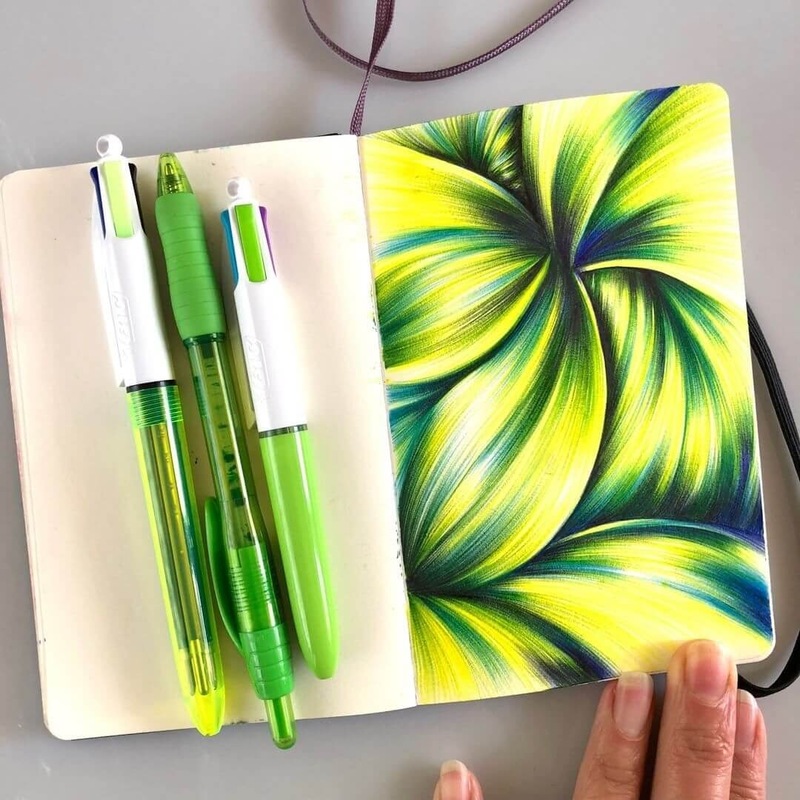 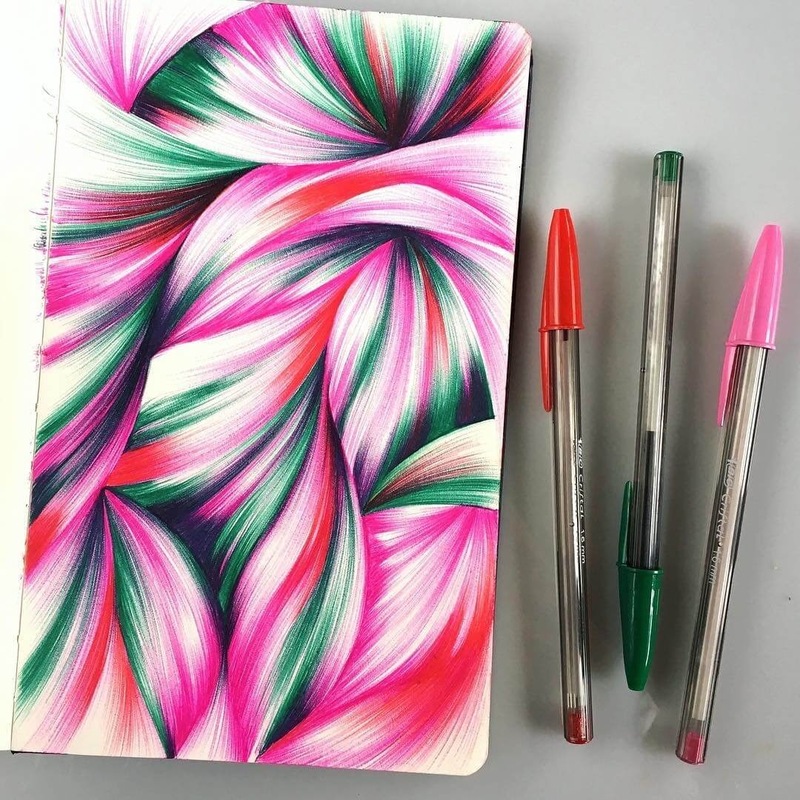 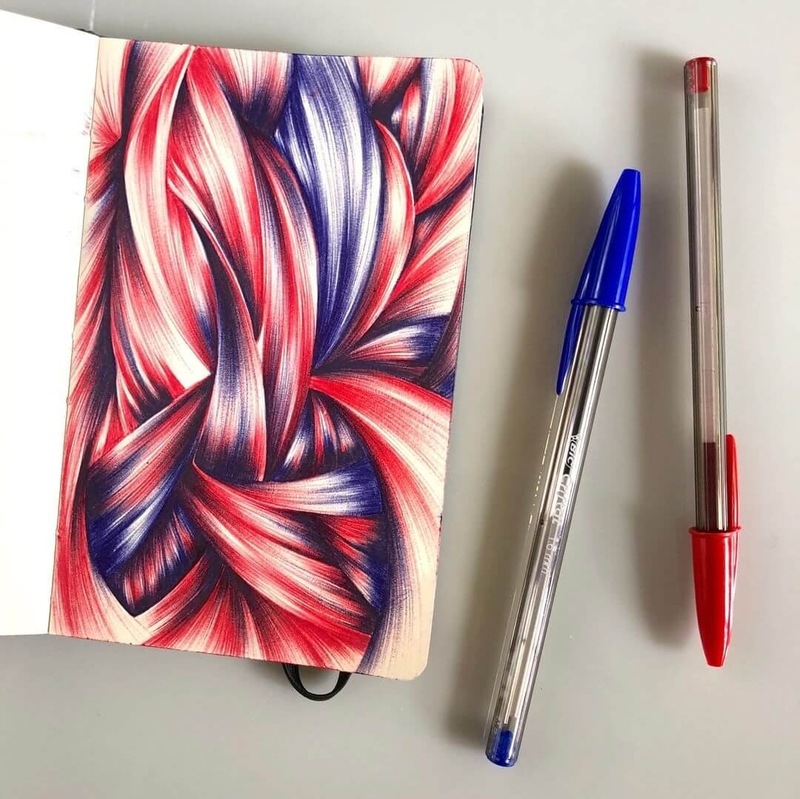 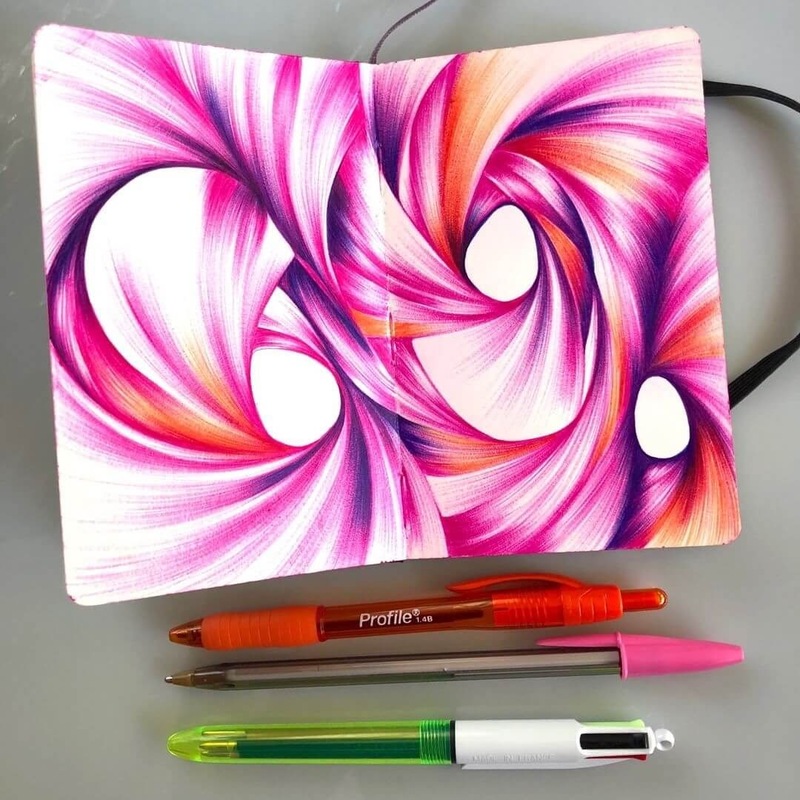 I really love the fluid motion in these ballpoint pen drawings, almost like very thin strands of colored silk, weaving their way through the page. 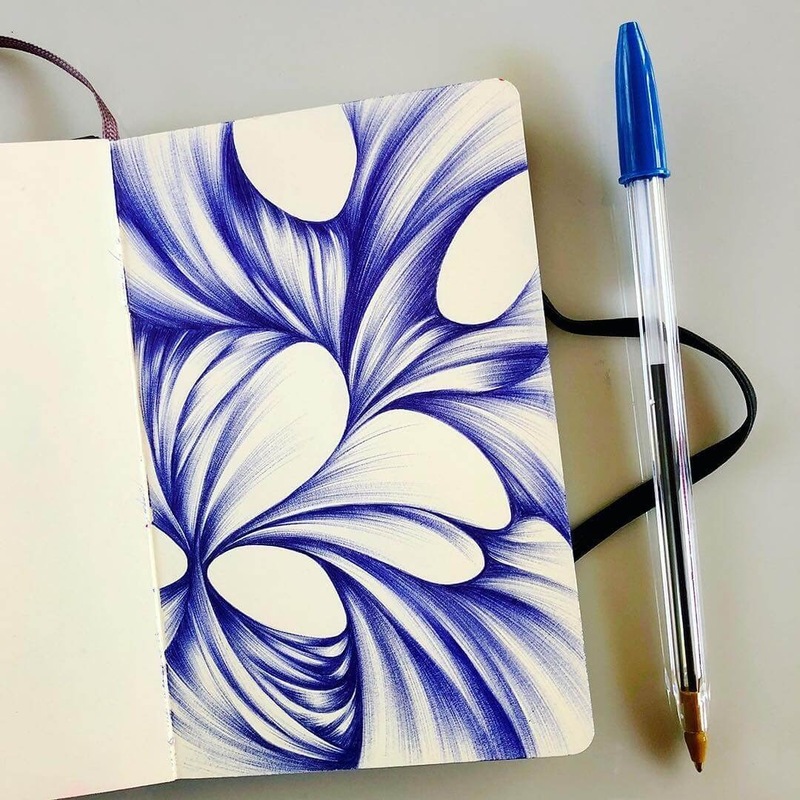 Great patterns that have a mesmerising effect, when you start following the strands around the drawing. 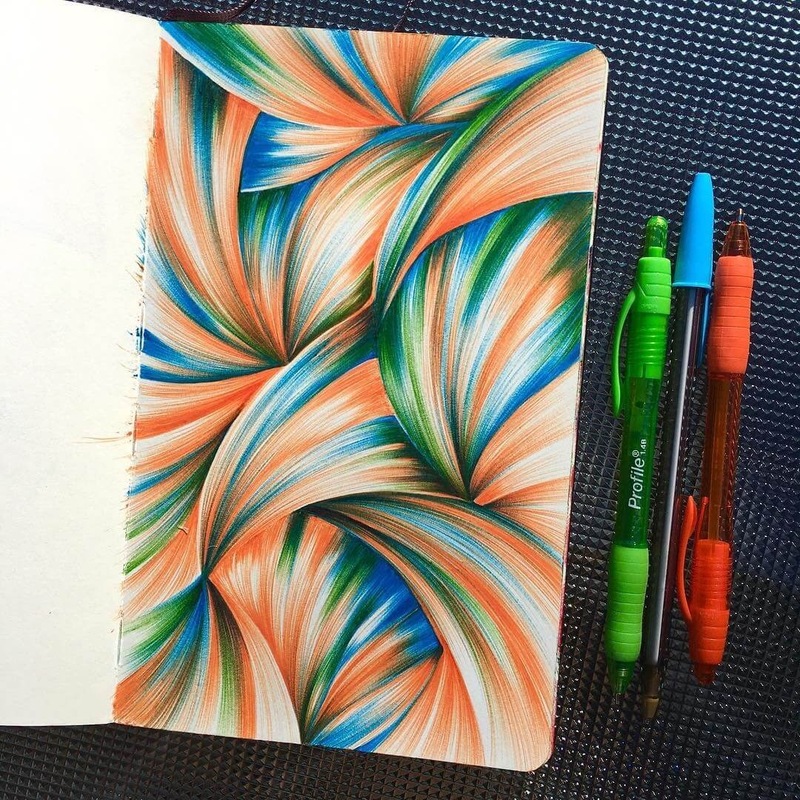 Press the images to enlarge them and get a better view (but not the first one).